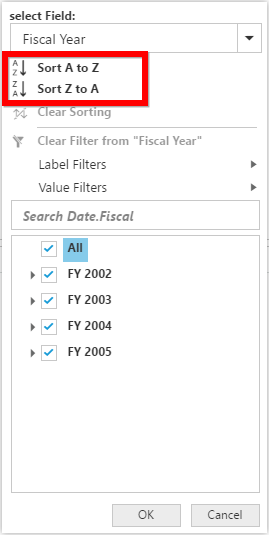 It allows to filter and sort the field members in the pivot client. 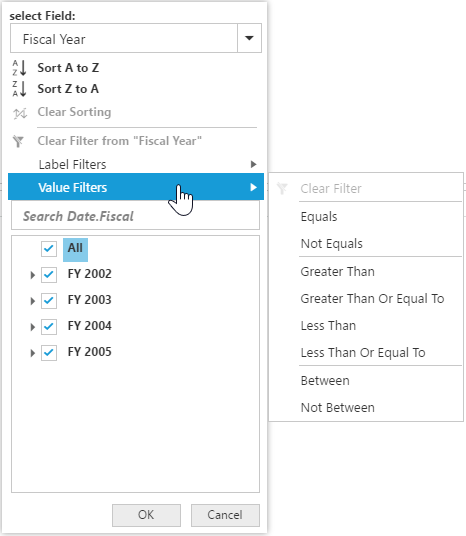 In client mode, you can enable the advanced filtering and sorting option in the pivot client by setting the EnableAdvancedFilter property under the DataSource to true. 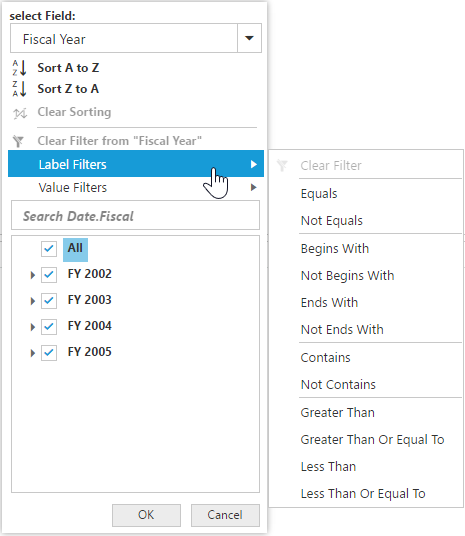 In server mode, you can enable the advanced filtering and sorting option in the pivot client by setting the EnableAdvancedFilter property to true. The sorting provides an option to sort the members of a field in ascending or descending order. This option is not applicable for the OLAP data source bound from the server-side. The label filtering provides an option to filter the members of a field purely based on their caption. The value filtering provides an option to filter members based on total values of the appropriate measure between the members of the level.